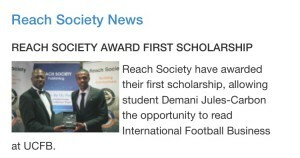 KEW Tuition supported Demani throughout his A’level studies and in his application for this scholarship. We are so proud of his achievements. This entry was posted in Events & Activities and tagged achievement, award, Scholarship, university by admin. Bookmark the permalink.